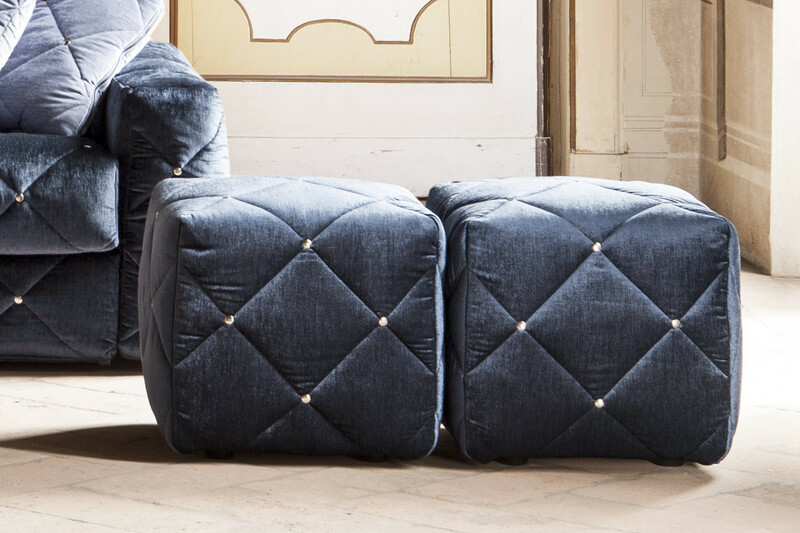 Douglas is a button tufted square ottoman available with nickel-plated or burnished buttons. 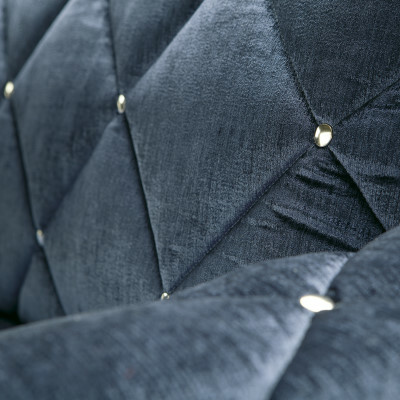 These details give it an elegant and refined look, perfect for classy houses or luxury contract environments. 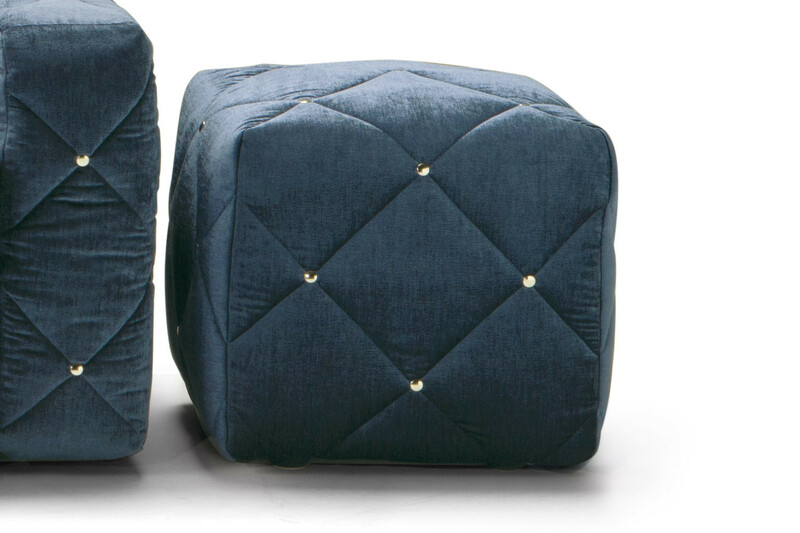 Here displayed in fine blue velvet, this cm 52 or cm 102 square ottoman is also available in fabric, leather and eco-leather, and in many other colours, all displayed in the Milano Bedding samples page. Its cover is completely removable, and this handy characteristic, combined with a great attention to detail, makes Douglas a high quality ottoman. Douglas ottoman is available in fabric, leather or eco-leather, in a wide range of colours displayed in the samples page. 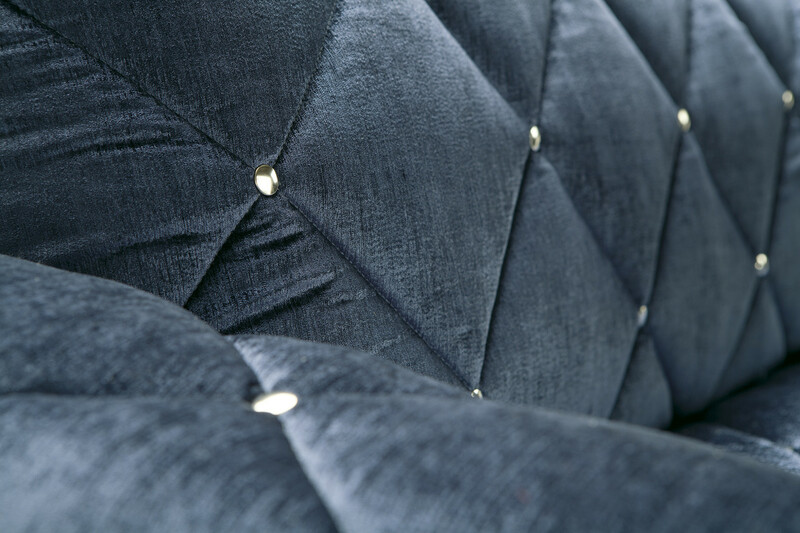 Removable cover. 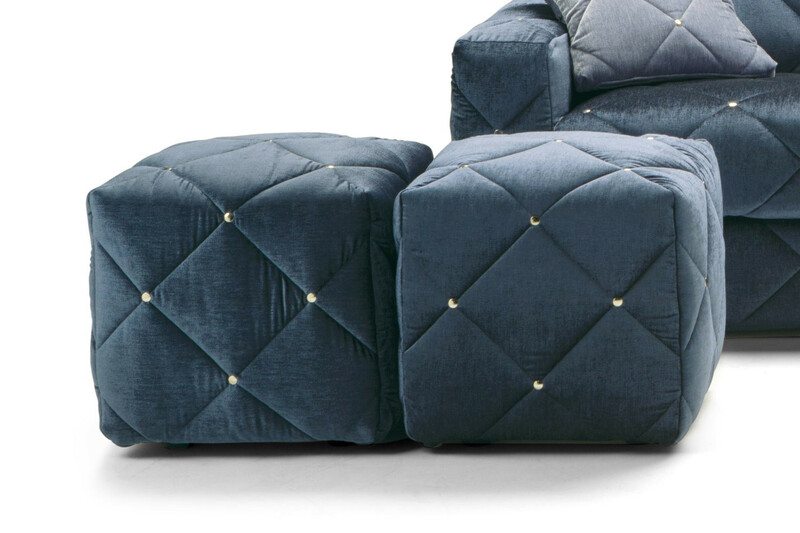 The ottoman cover is available with smooth quilting or with nickel-plated or burnished decorative buttons. 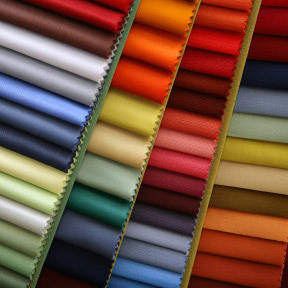 Cover: 400g/mq resin 100% polyester wadding, polyester/cotton bottom cloth. Nickel-plated buttons. Tips: dry-cleaning only is recommended. In any case follow the specifics of every cover.